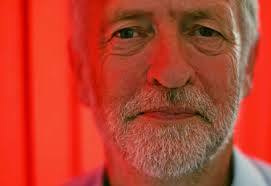 Jeremy Corbyn is five times winner of the Parliamentary Beard of the Year Award and was the winner of the original award in 2001 and while his beard may be a little more restrained these days, it has been a consistent presence on the Parliamentary backbenches for over 30 years. After spending yesterday in Cardiff at an External Advisory Panel meeting for the School of Physics & Astronomy, I’m now back on Sussex University campus to greet this year’s new new intake of students who begin arriving this weekend. Now, in between two Welcome Events this afternoon I just have time to do a quick review of last night’s entertainment in Cardiff. The meeting in Cardiff had been in my diary for a while but I only realised last week that Friday night was the opening performance of a new Welsh National Opera production of I Puritani by Vincenzo Bellini. Fortunately, I managed to get a last-minute ticket. I’m really glad I did because it was wonderful. I Puritani is set in England during the Civil War and revolves around Elvira (soprano, sung by Rosa Feola), who is a Protestant, and in love with Arturo (tenor, Barry Banks), who is Catholic. The trouble is that Elvira’s father has already promised her hand in marriage to Riccardo (David Kempster). The thought of being unable to marry Arturo sends Elvira into a deep depression but, seeing this, her father relents and gives permission for her to marry her true love. She responds to this news in rapturous fashion; her future happiness seems assured. Unfortunately events intervene. Arturo takes pity on a woman suspected of being a Stuart spy and about to be condemned to death. In fact it turns out that the “spy” is Queen Henrietta Maria, widow of Charles I. Arturo struggles with the conflict between love and duty (a familiar operatic theme) then, on the eve of his wedding, he leaves in order to take Henrietta Maria away to safety. The shock of discovering that her beloved has gone deranges Elvira’s mind, and the classic Bel Canto “Mad Scene” ensues. Arturo does return, eventually, but not until Act 3 by which time he has already been sentenced to death for treason and Elvira is beyond help. Riccardo, encouraged by a mob, prepares to carry out the execution. A herald appears, announcing victory for the Protestant side in the Civil War and declaring a general pardon on all Royalist prisoners. It is too late to save Arturo, although Elvira’s madness has deepened to such an extent she doesn’t even realised her would-be husband is dead. That brief synopsis of the plot doesn’t do any justice to what I think is a consummate piece of music drama, and certainly one of the heights of the bel canto period. There’s a superb balance of the different vocal combinations and wonderfully expressive music throughout. There are trademark bel canto coloratura passages, but it never feels forced or showy in this opera. The momentum never flags, either. It might surprise those who don’t like bel canto opera that, for example, Richard Wagner was a particular admirer of Vicenzo Bellini. Incidentally, I Puritani was Bellini’s last Opera; he died suddenly in 1835, at the age of just 34, the year it was first performed. It was acclaimed by the critics way back then, and is a fitting swansong for a truly great operatic composer. The new production is initially set in the Northern Ireland of 1970s, with Elvira dressed in a blue twin set reminiscent of Margaret Thatcher. The protestants were depicted as Ulsterman, complete with Orange regalia and bowler hats. But there is a surprise in store. As Elvira begans to lose her mind, an identically dressed (mute) doppelganger appears on stage. The real Elvira then leaves to return almost immediately dressed in 17th Century attire. The Orangemen also reappear dressed in the black clothes with white ruffs and cuffs of Puritans. Not only does this make a point about the three hundred years of sectarian madness in Northern Ireland, but it also manifests Elvira’s depersonalisation, i.e. her detachment from reality. The portrayal of Elvira’s madness in this Opera is sympathetic but unflinching, and deeply moving. The principals were all excellent, but I can’t help singling out Rosa Feola, who sang and acted beautifully, and Barry Banks who tackled the immensely demanding tenor part with real gusto. The WNO chorus were magnificent, as they usually are in fact. Conductor Carlo Rizzi had the Orchestra of Welsh National Opera on top form too. All in all, a wonderful night at the Opera. Congratulations to WNO for having the courage to put on this rare masterpiece. This is as good as anything I’ve seen at the Wales Millennium Centre, and that’s a pretty strong endorsement Do go and see it if you can!